Olympus OM-D E-M1X: ‘A professional camera with sophisticated technologies in a weatherproof body brings the benefits of the compact M4/3 format to challenge existing alternatives’. 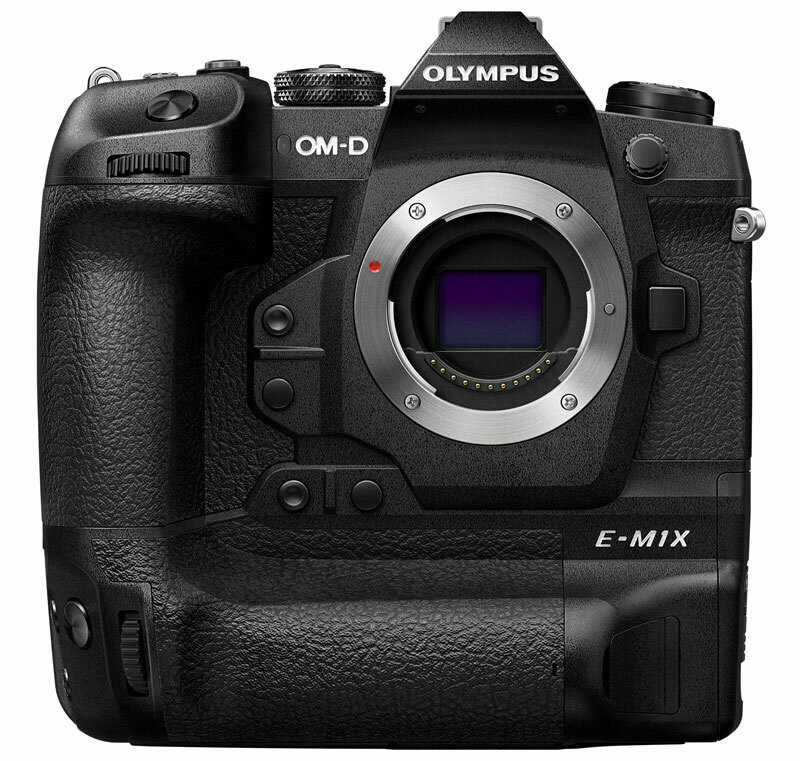 With the launch of the OM-D E-M1X on January 24, Olympus has sent a wake-up call to professional photographers: Do you really need a full-frame camera and all the issues related to it? Suppose you could take advantage of smaller, lighter lenses without compromising image and video quality? How about some new technologies that will make your job easier and raise the percentage of ‘keepers’ among the shots you take? – Vertical grip with duplicated controls for ease of use in both orientations: check. – How about using the added space for an extra battery to provide extended shooting capacity: check. – Continuous shooting at 18 fps: check. – A built-in ND filter: check. – Extensive opportunities for customisation: check. Some commentators – most of whom haven’t actually handled the camera – have complained that the body of the OM-D E-M1X is too large for an M4/3 camera. However, having used the camera, we found the size of the camera was irrelevant. You simply aren’t aware of it when you’re shooting because it’s been thoughtfully designed and its control layout is logical and easy to use. With the larger Olympus PRO lenses, the balance is near perfect. We were particularly impressed by the combination of the 7.5EV 5-axis sync IS system, which combines in-body and in-lens stabilisation to allow hand-held shooting in situations where a tripod would normally be required. Coupled with the new AF Target mode for focus tracking and high-speed continuous shooting (up to 18 fps with AF/AE tracking), it enables fast-moving subjects to be photographed with the longest lens (currently the M.Zuiko Digital ED 300mm f/4 IS PRO) with a high percentage of shots being in focus and in frame. 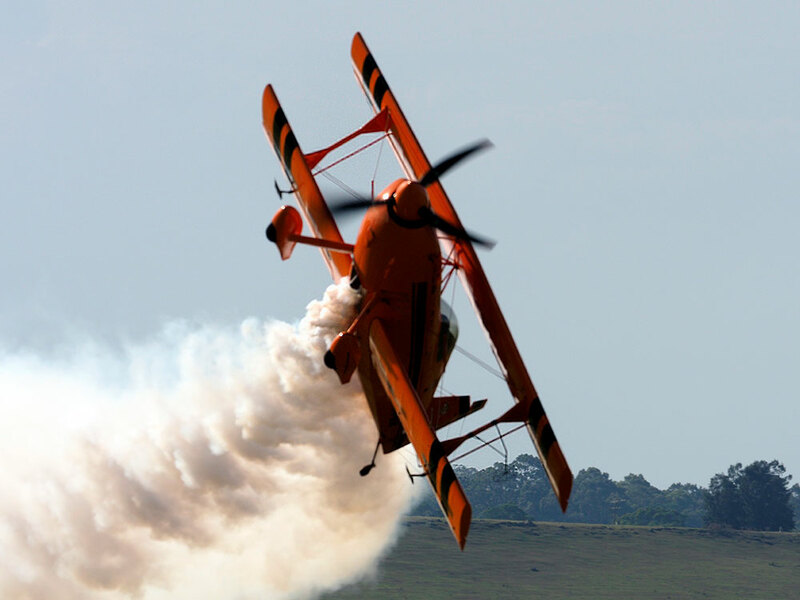 Olympus provides three pre-programmed subject detection AF settings covering motor sports, airplanes and trains. The camera will automatically detect the defined subject as it enters the frame, focus precisely on it and keep it in focus as long as it is in the frame. Hand-held shot, taken with the M.Zuiko Digital ED 300mm f/4 IS PRO lens using the airplane setting in the AF Target mode. ISO 200, 1/1250 second at f/7.1. The built-in ND filter is a ‘fun’ feature that encourages experimentation, although it has genuine practical applications. Its effect is based upon image stacking and the camera provides five neutral density levels: ND2 (equivalent to one EV step), ND4 (2 steps), ND8 (3 steps), ND16 (4 steps), and ND32 (5 steps). 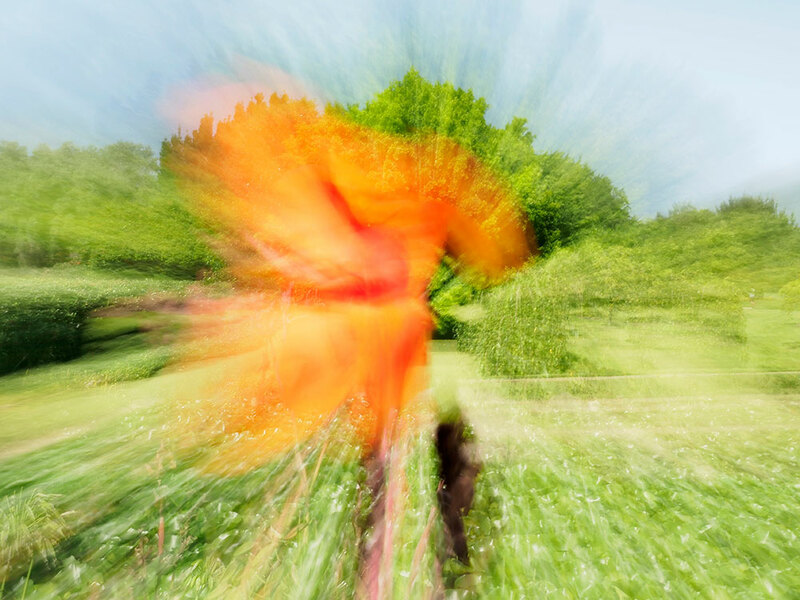 It can be used to obtain blurred shots of moving water, for panning and for ‘effects’ shots achieved by moving the camera during an exposure. The video capabilities of the OM-D E-M1 Mark II have been extended with the addition of OM-Log400 shooting, which sets a’ flat’ profile that provides greater flexibility for colour grading in post-production. High-speed movie recording at 120 fps with full HD resolution delivers slow-motion playback. The camera also supports time-lapse shooting. At an RRP of AU$4499, the OM-D E-M1X won’t be the camera on everyone’s ‘must have’ list. But professional sports shooters with sore backs and shoulders from lugging around cameras that weigh four to five kilograms with 600mm lenses will find welcome relief in the E-M1X plus M.Zuiko Digital ED 300mm f/4 IS PRO, a combo that weighs just over one-and-a-half kilograms. Taken with the built-in ND filter at ND32 and zooming during the exposure. M.Zuiko Digital ED 12-100mm f/4.0 IS PRO zoom lens starting with 100mm focal length and zooming out to 23mm. ISO 200, 1.6 second at f/22. 1. The same 20.4-megapixel Live MOS sensor as the OM-D E-M1 Mark II but with two TruePic VIII image processors that enable faster image processing and support many of the new technologies. 2. Integrated vertical grip with duplicated horizontal/vertical controls and a pull-out cartridge that accepts BLH-1 batteries; the same battery as is used in the E-M1 Mark II. The camera is CIPA rated for 870 shots/charge with IS on but no flash or approximately 1,290 frames per battery using the quick sleep mode. In practice we found these figures to be conservative. 3. Enhanced 5-axis sensor-shift image stabilisation that can synchronise in-body and in-lens IS systems to enable up to 7.5EV of shake correction. 4. All-cross-type hybrid AF system with 121-point on-chip phase detection sensors supporting a new Intelligent Subject Detection function and AF Target mode for focus tracking and high-speed continuous shooting. A joystick multi selector enables users to re-position the focus area while looking through the viewfinder. 5. Up to 60 fps continuous shooting in silent mode (using the electronic shutter) with focus and exposure locked on the first frame or up to 18 fps with continuous AF and focus tracking. Up to 15 fps shooting with the mechanical shutter. 6. The shutter is rated for 400,000 actuations and the camera includes Flicker Scan and anti-flicker settings to prevent uneven exposures and uneven colouring between sequential frames when shooting under fluorescent lighting. 7. A new Handheld High Res Shot mode uses the technology that drives the dust reduction and stabilisation systems to record and combine multiple exposures to create 50-megapixel images. The camera also provides the more traditional Tripod High Res Shot which can produce ultra high-resolution 80-megapixel images. 8. Professional quality C4K and 4K video can be recorded at 30 fps or 24 fps with a 237 Mbps bit rate. High-speed movie recording is supported at 120 fps with full HD resolution and the camera has an HDMI micro-D port and separate 3.5 mm stereo mini jacks for a microphone and headphones. A 2.5mm jack is included for the wired remote control. 9. Integrated ‘field sensors’ include a GPS sensor, temperature sensor, manometer and compass. The data they collect is automatically added to the image metadata in still pictures and movie clips. 10. Wireless functions include Wi-Fi (IEEE 802.11a/b/g/n/ac) as well as low-energy Bluetooth (Ver. 4.2 BLE). When used with smart device via the Olympus Capture camera control app, they support remote camera control and image transfer, including the ability to transfer images wirelessly to a computer when shooting in the studio without connecting a USB cable.